Florida's Premier Fence & Railing Supplier. Let Us help you with your Residential, Commercial or Industrial Project. At Big Sun Products, Inc. our focus is on Design, Fabrication and Installation of Premium Quality Products. We have been proudly serving the Florida Market since 1989. Our 15,000 sq.ft. Manufacturing & Distribution Facility is located in Ocala, Florida. Our Professional Staff is standing by to assist you with your next Project. We offer quick turnaround times on quotes, orders and installation. Testament Fence, LLC is your up-and-coming fence specialist. Our goal is to provide exceptional service and quality fences for the best possible prices. Hunter's Woods Fencing, Scott Spencer Inc.
Hunter's Woods Fencing, a division of Scott Spencer Inc, installs high quality fences at fair prices. Our high standard of professionalism and quality wins customer and earns repeat business. Our low end products are often of higher quality than our competitors high end materials. No one else in the area offers the quality our customers enjoy. We are a family owned and operated business. We take pride in offering superior quality products that are made in the USA and constructed with attention to detail. We also offer commercial grade products for less than residental grade prices. Our volume and our platinum status with a major supplier allows us to save you the most money possible on your project. Guaranteed hundreds of references of recently completed fence projects in your neighborhood. We offer: Free on site estimates with product demonstration In house intrest free same as cash financing with no credit checks All major credit cards accepted Written warranty on every product we sell materials only sales for the d.i.y project or installed We look forward to providing you with a fence you will be proud to own. Thank you for your interest in Metro Fences. Please view our gallieries to sample just a few of the quality fences we have constructed. We look forward to hearing from you with any and all questions you may have. 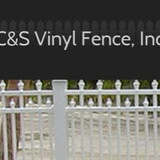 C & S Vinyl Fence Inc. Rely on the professional vinyl fence installers of C & S Vinyl Fence Inc. We are a premier fencing contractor in the Citrus County, FL and surrounding areas for more than 15 years. Our team of creative vinyl experts will help you choose the right vinyl fence for your needs that fit your budgets. Why Choose Us? Family Owned Business Vinyl fence Customization Free Estimates Licensed and Insured Company Maintenance Free Vinyl fences Lifetime Transferable Warranty Open Seven Days a Week Over 150 Styles to Choose From Increase the Value of Your Property We have the right experience, equipment, and expertise to provide high-end fencing services and products that comply with state and county codes. All of our products are made from vinyl materials that are eco-friendly, cost-efficient, and customized to match the style of any property. With vinyl fences and gates that come in a variety of styles and designs, we guarantee increased property appeal and real value for your money. Schedule an appointment with us today. Call us at (352) 746-4438 for more details. Ocala fence builder offering all fence types for installation. Free quotes! With more than 35 years of experience, American Landmark Fence Company of New Port Richey, Florida, provides high-quality residential and commercial fencing services. We feature affordable rates with quality results that cannot be beat. American Landmark Fence Company is committed to providing its customers with the best delivery and installation services at the lowest available prices. We are dedicated to excellence and customer satisfaction from start to completion. Phil’s Ironwork, Inc. in Dunnellon, FL designs and manufactures custom-built iron and aluminum structures such as fencing for yards or pools, driveway gates, railings, staircases and so much more! We offer free at-home estimates for our services and will determine the best possible price so you get the most out of your home improvement project. Our attention to detail is what sets us apart from the competition, and with more than 40 years of experience, we get the job done right the first time, every time. Pool Guard of Tampa Bay has installed thousands of Pool Safety Fences, Pool Safety Gates and Pool Safety Nets in the Tampa Bay area for over a decade so you can feel confident we can protect your pool too. We have won numerous awards for customer service and business ethics and we are BBB Members in prefect standing. We offer the highest-quality, American made, Pool Guard brand removable Pool Safety Fencing and Pool Nets backed by a Lifetime Warranty. 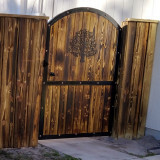 B&B Gateworks is located in Ocala, FL and provides residential gate services. Look to B&B Gateworks for all of your gate installation & repair needs. Rightway Fence Inc. is a family owned and operated fence contractor business that has been building fences for more than 30 years and servicing Ocala/Marion County and the central Florida area since 1999. Customer satisfaction is our number one goal, and we believe in old fashioned quality and attention to detail. Your Citrus Hills, FL fence installation and repair professional will work with you to create your ideal fence. Find a fence contractor in Citrus Hills, FL on Houzz. 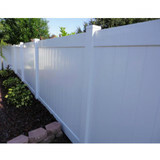 Narrow your search in the Professionals section of the website to Citrus Hills, FL fence contractors. You can also look through Citrus Hills, FL photos to find examples of fencing and gates that you like, then contact the professional who worked on them.